Give Your Home a Unique Look! 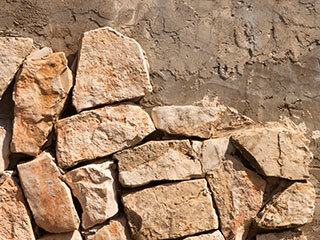 Walls are far more than just a way to mark the boundaries of your property. Through the use of custom styles and designs, we can create pillars and barriers that emphasize and highlight the best aspects of your yard or driveway. Our wide range of styles allows us to seamlessly blend with your property's existing character, creating an effect that’s guaranteed to impress. Planter walls support an array of pots or flower beds that can be filled with flora of your choice, which means you could have a wide variety of colors spread there like a flowery rainbow, an ocean of violets and lavenders, or anything you can imagine, really. This can let you create a soft, natural screen to separate garden areas without constructing a tall dividing wall. You can also use planters to provide a splash of colorful blooms in the middle of a paved driveway or yard, or to run vines up the front of your property. Low walls can make the perfect place to sit down and relax. Our seating walls are perfectly designed to provide a comfortable resting place for visitors, and can be easily positioned anywhere in the property. They’re the ideal solution for casual seating, allowing you and your visitors to easily find a place to relax. A pergola or some other type of cover could be added for shading purposes, which will make this suitable for any time of day. You can also add some pillars to add style and design to the area. If your property features raised beds or has any other need for a strong retaining wall, we can provide a solution. Although we use high-quality bricks, pavers or durable cement to construct barriers with longevity in mind, we never forget about design. Our wide range of styles and textures can be applied to these barrier sections, so no matter what your needs are, you can rest assured that your new walls will be a perfect match. Walls contribute a lot to the exterior layout of your property, and they can give it any look you desire; people will naturally follow them, sit on them, lean against them, and be guided by them. Pillars can also help you frame or section off areas of your property without compromising the view and without creating the dour feeling tall walls may invoke. Take the time to invest in carefully-planned, custom structures that your friends or visitors wouldn't be able to help but fall in love with. Contact our team at S&P Hardscape Remodeling Los Angeles today to consult with our experts. What are some good driveway entrance ideas involving pillars? Adding pillars, or columns, to the entry gate of your driveway or along the sides is an ideal technique to accentuate a building's entrance and bring a welcoming ambiance to the real estate. Whether the property in question has a contemporary design, a traditional one, or anything from Tudor to Victorian, columns installed on the two sides of the entrance are sure to bring a sense of grandeur and opulence. The addition of pillars along the driveway itself, as part of a fence or a wall, will also upgrade the property's appearance and make it a beautiful part of the landscape. The addition of lights, a planter or a statue on top, enhances the radiance and character of the pillar, and can really make the entire property stand out. These columns are often constructed of rock, stone or brick pavers, to complement the material of the driveway, but polyurethane faux stone is becoming a popular and economic alternative that can help you create any look and color you desire. Can I have driveway pillars with lights? Pillars with lights add special character to your driveway and ambiance to your patio. We can professionally install lights in existing patios and driveways or include them in the installation of a new project. The process of building a pillar with lights includes the preparation of the foundation pad, especially if it is a standalone column and not part of a wall or an existing project. We will need to run a conduit from the closest electrical source to the pad, install a wall rock and then build the base and the second course, cap the post, and add a light fixture of your choice. The result will enhance the appearance of the property and improve the sense of security.